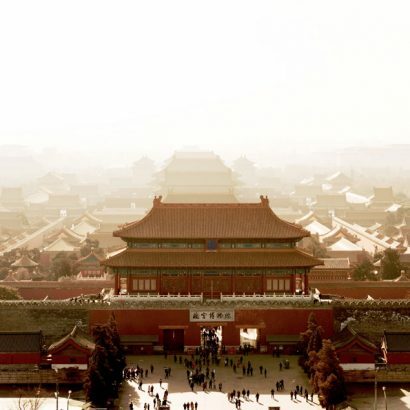 Every March some 5,000 delegates from around China travel to Beijing to attend the Two Sessions — approximately 10 days of meetings that gather China’s top legislative body, the National People’s Congress (NPC), and its top advisory committee, the Chinese People’s Political Consultative Conference (CPPCC). The 2019 edition of the annual meetings concluded with relatively little fanfare. It took a markedly different tone from last year, when China boldly projected Xi Jinping’s vision for a “New Era” to the world, formalizing major constitutional amendments and announcing the most far-reaching government restructuring in decades. This year, China’s top leadership found itself needing to reassure audiences at home and abroad that it can tackle pressing economic challenges amid turbulent trade and diplomatic relations around the world. Central to these challenges is a concern over the pace of the economic slowdown. In 2018, China’s economy grew by 6.6%, the slowest pace since 1990. As China continues to transition from a low wage, export-orientated economy to a high-end manufacturing and consumption power, policymakers need to find ways to both stabilize and stimulate the economy. Meanwhile, discontent towards China’s industrial upgrading goals and assertive foreign policy has intensified abroad. Amid continuing U.S.-China trade tensions and a sharpened pushback from Europe on China’s foreign policy efforts, the legislative decisions pronounced during this year’s Two Sessions are important indicators of how last year’s “New Era” pronouncements will translate into policy action. To the international community, the legislative consolidation will signal to what extent China is willing to recalibrate its policies in response to international pushback. 2. Stability is the government’s top priority amid the continuation of China’s economic slowdown. 2019 will see the implementation of major tax cuts, job creation measures and expanded financial support for private enterprise. 3. Beijing made a concerted effort to reassure foreign investors of a level playing field in response to widespread international pushback against market restrictions. The passing of the Foreign Investment Law is a positive step, but its success hinges on the government’s ability and willingness to enact the law through concrete measures. 4. Despite the end of Made in China 2025 as a policy term, China is still pushing forward its industrial upgrading agenda under a different guise. High-end technological development remains at the heart of China’s development strategy and will likely continue to cause disputes with the foreign business community and major trading partners. 5. One year on, the dust has settled on China’s government restructuring. Foreign multinationals can expect more clarity in their regulatory landscape this year and should grasp every opportunity to engage their government stakeholders early on as policy agendas are being formulated under new ministry leadership. While the Foreign Investment Law promises equal treatment for foreign companies and pledges better IP protection, foreign MNCs should pay close attention to the follow-up measures that will be issued in the months leading up to the law’s introduction on January 1, 2020. Realistically, favoritism of domestic companies and discrimination against foreign players will continue, especially in sectors crucial to China’s industrial upgrading efforts. Amid fierce competition from Chinese companies, foreign companies can still leverage the government’s focus on improving the quality of products and services for its citizens, in areas ranging from food and pharmaceuticals to financial technology. Foreign MNCs can seek out opportunities to capitalize on their expertise to provide valuable input to regulators as they strive to meet ever increasing quality standards. With the government restructuring complete, 2019 is shaping up to be a year of major policy implementation. Foreign companies should expect swift government action on central government initiatives, especially if a trade agreement is signed with the US. MNCs should be prepared for the passage of controversial measures previously shelved due to international tensions, such as China’s cross-border data flow measures. 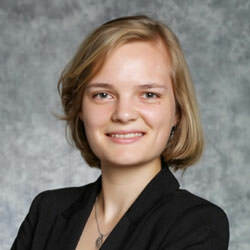 Caroline Meinhardt is a policy analyst in APCO Worldwide’s Beijing office. She specializes in government affairs and policy monitoring and analysis and is a co-editor of APCO's China Reform Watch.